Intrasis will provide you with information from your project in an userfriendly way. This makes Intrasis useful for all participants in a project, regardless of previous knowledge and experience with GIS and working with databases. 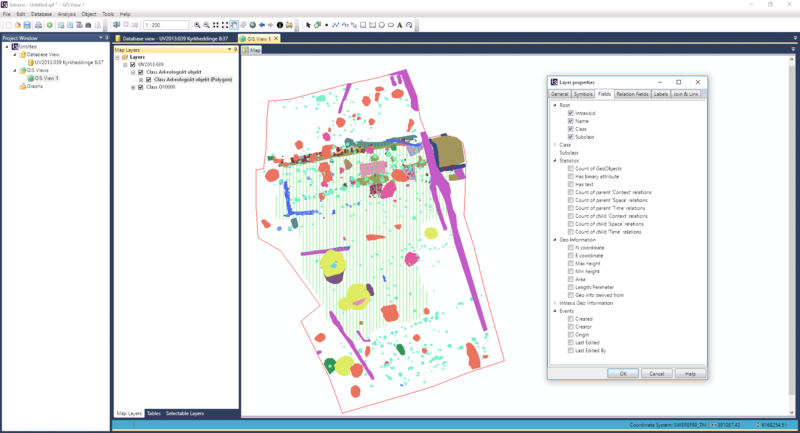 Useful fields with information can be added to Intrasis tables and Intrasis Layers in a GIS View, simply by selecting the information needed in the Properties dialog. For instance you can add height or area information, parent objects or statistics. You can also hide table information. 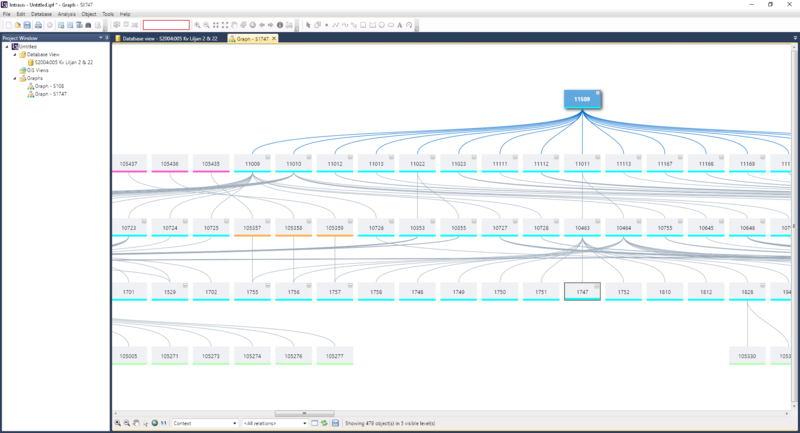 In the Graph View you will be able to overview object relations. You can also limit the information shown to a selected relation. 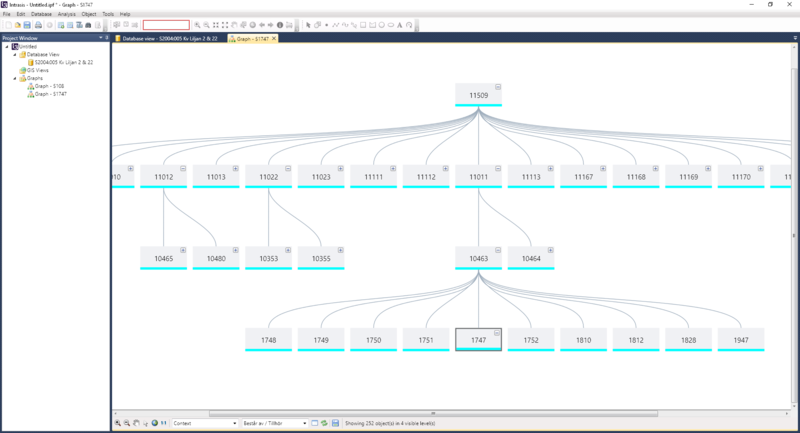 If you need to edit a relation you have direct access to the Object Browser from the Graph View.